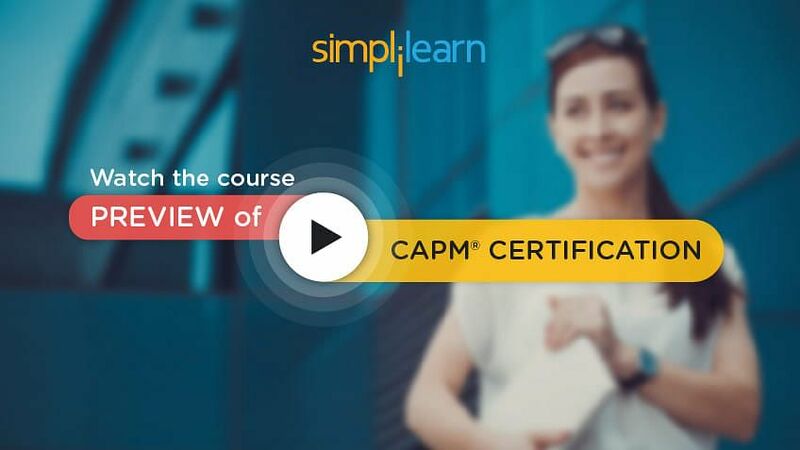 Welcome to the sixth lesson ‘Project Cost Management’ of the CAPM Tutorial, which is a part of the CAPM Certification Course offered by Simplilearn. In this lesson, we will focus on Project Cost Management. There are 47 processes in project management grouped into ten Knowledge Areas and mapped to five Process Groups. In this lesson, we will look at the fourth knowledge area, i.e., Project Cost Management and its processes. In the next section, let us understand the concept of Project Cost Management. In the next section, let us discuss Cost Management Plan. Project cost management plan is a part of the project management plan. The methods used in estimating the cost of each of the project activities are similar to the ones used in estimating project time. For example, time estimation methods like expert judgment, analogous estimating, bottom-up estimating, and reserve analysis are few of the techniques that are also used in estimating activity cost. Let us discuss control account in the next section. Control account is an important concept in the project cost management. The project cost is generally estimated at the individual activity level. It becomes difficult to manage cost at the activity level in large projects; therefore, the cost is managed at a higher level. This requires related activities to be clubbed and their cost being managed together as one unit. This unit is called control account. While estimating the project time, WBS is created to break down the project into smaller deliverables. These deliverables are broken down into work packages and these work packages are in turn, broken into activities. Control account is defined at a level higher than the work packages. For example, if 5 work packages are part of the one control account, the cost of all activities belonging to these 5 work packages are managed as one unit. In the next section, let us discuss the project cost management processes. The three processes Plan Cost Management, Estimate Costs and Determine Budget are a part of planning process group and Control Cost process is a part of monitoring and controlling process group. Let us look at each of these processes in detail. Let us begin with the first process, i.e., plan cost management, in the next section. Managing costs on a project is a critical exercise. If the activities are planned well, it becomes easier to achieve harmony with the overall cost and budget of the project. Plan cost management is the process of establishing the policies, procedures, and documentation for planning, managing, expending and controlling the project costs. Let us look at the inputs required for this process. The project management plan provides other subsidiary plans and guides the cost planning activities on the project. The project charter provides an overall context, and high-level product and project description, which help determine the approach for cost management. For example, for some projects, the budget could be a constraint, whereas, for others, the budget would not be a constraint, but subject to the other objectives. Enterprise environmental factors provide the organizational context to the project, including the culture of the organization and the infrastructure (for instance, the scheduling systems available, the key personnel, and so on). Expert judgment refers to input received from knowledgeable and experienced resources. Experts can devise an approach to govern the costs on a project by using their previous experiences. Meetings may be organized to determine the cost management plan. Everyone responsible for the project schedule management, such as the project manager, representatives from the appropriate accounting or financial organization, sponsor, customer, and other stakeholders must attend these meetings. Several analytical techniques may be used to determine the cost management plan. These techniques help to map the impact of various decisions on cost. For example, how do risk management processes impact cost, etc. In the next section, let us discuss the second process under project cost management, Estimate Cost. Estimate cost is the approximation of the monetary resources required to complete a project activity. Cost of a specific activity is estimated based on the information available at that point of time. As the project team gets more information about the project, the activity cost estimation may change. Let us look at the inputs of this process. Scope baseline is the most important input as it details out the project’s scope of work. Along with that, the project schedule is also important. This contains information like when and which resource is required for the project. It is good to remember that the same kind of resources may have different costs at different points of time. Human resource management plan is another important input. Various elements like personnel rates, rewards or recognition programs, etc. are covered in the human resource management plan, which is important in approximating the cost estimate. Human resource management plan will be discussed in detail in the human resource management knowledge area. The risk register is also an input because risk mitigation cost should be considered in cost planning. More information on risk and its effect in the project will be looked at, in detail, in risk management knowledge area. Another input, enterprise environmental factors, provides organizational context to the project. Organization process asset is listed as an input as organizations might have the standard set of cost estimation policies or templates. Cost management plan is another important input. The cost management plan lays the framework for the cost management processes in the project. It provides guidelines such as the units of measure, accuracy desired, methodologies and tools to be used, etc. Let us now look at the tools and techniques used in this process. Most of the tools and techniques used here are similar to the ones used in the time management knowledge area. Vendor bid analysis is a technique used to estimate project cost. For e.g., a project requires material procured externally through suppliers. In order to get that, you invite bids from three to four suppliers and assess their quotations. Based on their quotations, you can get an idea of the cost that will be involved in getting the material for the project. Group decision-making technique is another important technique for project cost estimation. Cost estimation is an exercise, which may be carried out by a group or committee in order to gather well-rounded input. Therefore, group decision-making techniques may be used to arrive at a decision that team can work with. The outputs of this process are quite straightforward. Estimates of each of the activities are arrived at. The basis of the estimate includes things like how the estimate was developed, what were the assumptions made in estimating, etc. Project document updates is also one of the outputs because the cost estimates may result in updates to other aspects of the project (e.g., quality, risk, time, etc.). In the next section, let us discuss the third process under project cost management, Determine Budget. Once the estimate of each of the activities is arrived at, the next project cost management process is to determine the budget. It is the process of aggregating the estimated costs of individual activities or work packages to establish an authorized cost baseline. This is where the control account concept comes into the picture. The estimated costs of the activities are aggregated to arrive at the cost budget at the control account level. Once approved, this cost budget becomes the cost baseline of the project. Project cost performance is measured against this cost baseline, i.e., how much more would the project cost be compared to the original cost baseline. The cost baseline includes all authorized budgets but excludes management reserves. The inputs used in determining the project budget are the activity cost estimates and the basis of estimates, which are the output of the previous cost management process. The cost management plan lays the framework for the cost management processes in the project. It provides guidelines such as the budgeting cycle, tools, and techniques used to prepare and approve the budget, etc. In addition to these two important inputs, scope baseline is also looked at. Project schedule provides aggregate cost in a particular calendar period to ensure how much money can be made available during that time. Similarly, resource calendar provides information on the resource, which is assigned to the project at a particular point of time. This information is then used to indicate resource costs over the duration of the project. Risk register gives an understanding of the overall level of risk on the project and, therefore, the level of contingency reserves that need to be built into the budget. Agreements entered into with the suppliers are also required to finalize the budget. Again, organizational process asset is an input because the organization may have few policies for reporting the cost budget or there might be some cost budgeting tools being used. There are various tools and techniques used in determining budgets. Cost aggregation technique involves adding up the cost and aggregating them at the control account level so that the cost can be managed in a better way. In reserve analysis, once the costs are estimated, some extra amount is added to the estimate as a management reserve, to take care of any unplanned activities. Expert judgment is a technique in which an expert’s help is sought to estimate the activity cost. Expert is someone who might have worked on a similar project in the past and has a good idea to estimate the activity cost involved. Historical relationships are used to predict the total project cost using a mathematical model. This is similar to analogous estimate or parametric estimate method. Funding limit reconciliation technique is used to ensure that cost of the project is budgeted or spent as per the availability of the fund. For example, if the project can get the funding of only $50,000 a month, the project budget should be planned accordingly. The output of this process is the cost baseline. This is an authorized project budget over a period. This is used to measure, monitor, and control overall cost performance of the project. In addition to this, the project funding requirements are also arrived at. Funding requirements mean, how much fund the project requires monthly, quarterly, or yearly for the execution. The last output of this process is project document updates. An understanding of determining budget may be useful when answering questions in the CAPM exam. So make a note of the inputs, tools, and techniques, and outputs of determining the budget. In the next section, let us discuss the last process of project cost management, i.e., control cost. The inputs to the process are Project management plan, Organizational process assets, Project funding requirements, and work performance data. Work performance data contains the information about the project progress. The important tools and techniques used in controlling cost are earned value analysis management, forecasting, to-complete performance index. Now, let us look at the output of this process. The key outputs of this process are work performance information in terms of cost variance (CV), schedule variance (SV), and earned value (EV) and forecasts about the cost performance. This process may also result in change requests arising out of cost control measures, as well as updates to project documents, the project management plan, and organizational process assets. Business scenario based questions on project cost control can be expected in the exam. In the next section, let us learn about Earned Value Management and its related terms. Earned value technique is an excellent way to track the project progress against the project plan. It is a method of measuring the project performance objectively and comparing it against the project baseline. Results from an earned value analysis indicate the deviation of the project from cost and schedule baselines. Baseline is the initial approved value along with approved changes. Therefore, schedule baseline is the first approved project schedule along with approved changes. All the parameters displayed are measured in terms of cost. You may come across business scenario based questions on earned value management, in the CAPM exam. So ensure that you develop a clear understanding of this topic. Let us look at an example of a planned value, in the next section. Planned value is the estimated value of the work planned. This value is measured in terms of currency, say dollar. If the planned value is $340, then the work planned is worth $340. How do you calculate earned value? add the budget allocated to each of the activities that have been completed at that point of time. The resulting value is the earned value. In the next section, let us look at the formulae used to calculate earned value. Before the start of the CAPM exam, please make a note of the formulas of earned value technique. In the next section, let us look into earned value management example. Let us take the example of a software development project. There are four phases and each phase takes a month to complete and is expected to cost $10,000. Requirements definition is completed and actual spending on this is $10,000. Architecture and design is done and actual spending on this is $12,000. Development and unit testing is only 50% done, though it was supposed to be completed by the 3rd month. It has cost $9,000 until date. System testing and go live has not yet started. Based on the above information, calculate the CV, SV, CPI, and SPI of the project. Let us look at the solution in the next section. To calculate the planned value, you need to add the amount of work that was supposed to be done by the third month. Three phases were supposed to be completed. The budget to complete each of the three phases was $10,000. So the planned value, is $10,000 + $10,000 + $10,000 = $30,000. However, by the third month, two phases are complete and the third phase is only 50% done. Hence, the earned value is $10,000 + $10,000 + $5,000 = $25,000. The actual cost of the work is $10,000 + $12,000 + $9,000 = $31,000. Cost Variance is Earned Value minus Actual cost which is $25,000 - $31,000 = -$6,000. Schedule Variance is Earned Value minus Planned value which equals to -$5,000. CPI is Earned value by Actual cost which equals to 0.80. SPI is Earned Value by Planned value, which equals to 0.83. Spend some time to interpret each of these values and their implications on the project. In the next section, let us look at the cost related terms that you might encounter in the CAPM exam. Before we end this lesson, let us also look at few definitions that might be useful for your CAPM examination. Law of diminishing return: This means the more you put into something, the less you get out of it. For example, doubling the number of resources working on a project will not necessarily halve the time. Working capital: The amount of money the company has to invest in the project and the day-to-day company operations. Funding limit reconciliation: The process of comparing the planned expenditure in a given period with the available funding for that period. Depreciation: Large assets purchased by the company lose value time. This is called depreciation. Straight-line depreciation: Same amount of depreciation is taken every year. For instance, a car with a price tag of $10,000 and useful life of 10 years is depreciated $1,000 per year. At the end of 10th year, the value of the car is considered zero for all accounting purposes. Accelerated depreciation: Depreciates faster than the straight line depreciation. For instance, a car with a price tag of $10,000 depreciates $3,000 the first year, $1,500 next year, $1,000 the third year, and so on. Project cost management includes the processes involved in estimating, budgeting, and controlling costs so that the project can be completed within the approved budget. Cost management plan contains details on how to plan, manage and control the project cost in relation to the cost baseline, and manage the cost variances. Cost estimate is an educated guess of how much an activity or a project will cost. Budget considers the cost estimate and accordingly sets aside funds for the completion of the project. Under control account technique, related activities are clubbed and their costs are managed as one unit. The four Project Cost Management processes are Plan cost management, Estimate costs, Determine the budget, Control costs. Earned Value Management technique indicates the potential deviation of the project from the cost and/or schedule baselines. With this, we have come to the end of this lesson. In the next lesson, we will discuss Project Quality Management.